People started meeting in Victory groups in June 2010 in various locations in Trece Martires, the capital city of Cavite. More than forty men and women are now going through ONE 2 ONE and being trained to make disciples. Our local churches in Cavite (Bacoor, Dasmariñas, and Imus) have collaborated to reach this area. In fact, the church planting team has made efforts to reach different age groups. 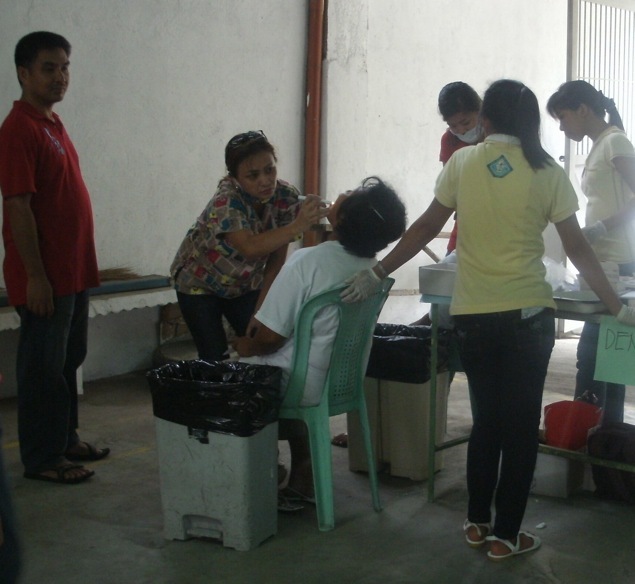 Just last May, they set up a medical mission to help the citizens of Trece Martires. Victory Trece Martires will be holding their services inside the Colegio de Amore campus, home to elementary, high school, and college-level students. The leadership team is also targeting other schools such as the Cavite State University, Trece Martires City Colleges, and Lyceum of the Philippines. Pray with us as we reach out to the heart of Cavite! Ask God for more families, students, and young professionals would come to have a relationship with Jesus. Pray also that this fresh church plant would not just grow in numbers, but in their relationship with God as well. See you at Colegio de Amore this Sunday, September 11, at 10 AM! Bring your family and friends to join us, too! Bigyan natin ng dangal ang Diyos at paramihin ang disipulo Niya sa Trece Martires! We've got free apps for you! Changed Lives Breaking New Ground in Muntinlupa!